We all have childhood memories of parents, teachers and others encouraging us to work together. A co-op is what "working together" looks like all grown up. From the outside, many co-ops look like any other business, since a co-op provides products and services like conventional businesses do. But it's what goes on behind the scenes that makes it different. A cooperative exists to serve its members, but what makes co-ops unique is that the members are also the owners. So, in addition to getting the products and services you need, you also have a say in the business decisions your cooperative makes. Rather than rewarding outside investors with its profits, a co-op returns surplus revenue to its members in proportion to how much they use the co-op. This democratic approach to business results in a powerful economic force that benefits the co-op, its members and the communities it serves. Want to learn more about how co-ops are structured? Check out Co-op FAQs and Facts. And because cooperation builds strong bonds between the people who use products and the people who supply them, co-ops offer a way to transform the way business is done. 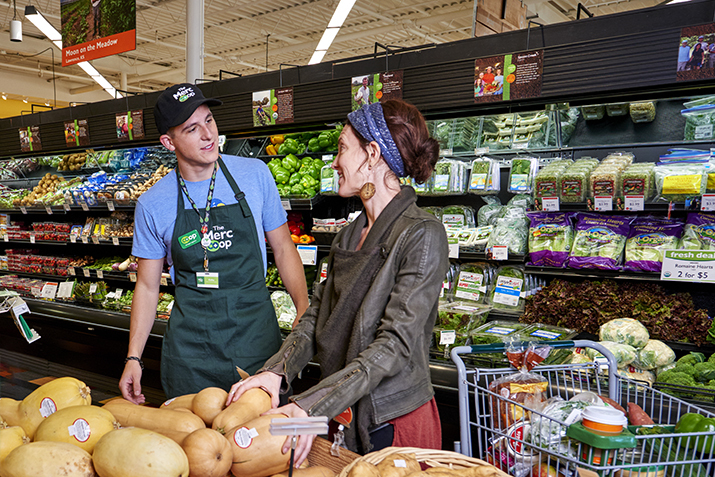 Co-ops give you the opportunity to get the products and services you need on a daily basis while strengthening the community around you. In addition to a co-op's commitment to serving its members, most adhere to a set of seven principles that help guide the business. And as a result, many co-ops set a standard for the surrounding business community with a commitment to environmental and social responsibility. Want to see this in action? Check out our video series hosted by celebrity chef Kevin Gillespie. Co-ops of all kinds are all around you. More than 800 million people around the world belong to cooperatives, and at least 100 million of them are employed by co-ops. And more often than you probably realize, co-ops play a vital part of your everyday life. Consider the cup of coffee and cranberry muffin you recently enjoyed. That premium Sumatra Siborong-Borog coffee was likely purchased from a grower co-op in Indonesia. The flour in the muffin started as wheat from a farmer-owned, grain elevator co-op in the Midwest, and those cranberries might be from Ocean Spray, a producer-owned co-op. Knowing the source of the foods you eat, the services you employ and the products you purchase are just a few of the benefits of joining a cooperative. As a member, co-ops invite you to take part in the way your favorite grocery store or financial institution is run, and share in any profits. This community approach to business is at the heart of the cooperative philosophy.